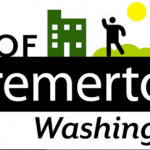 Port of Bremerton, what’s in a logo? 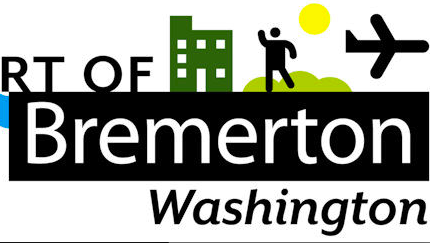 The Port of Bremerton Board of Commissioners devoted considerable time at a retreat last week to discussion of the port’s logo. Now, don’t get the idea that the board didn’t discuss larger issues, such as the port’s mission and direction now that it has a new CEO (former COO Tim Thomson, replacing Cary Bozeman), new commissioner (Axel Strakeljahn, replacing retiring longtime Commissioner Bill Mahan) and new board president (Larry Stokes). All agreed on taking an aggressive approach to attracting new business and retaining the tenants they already have, especially SafeBoats. Strakeljahn suggested that the port should fill Thomson’s former position with a “salesman” who would be on the road four to six weeks of the year, knocking on the doors of prospective port tenants. Thomson mentioned that the logo created when Bozeman was at the helm has not exactly been ringing people’s chimes. Apparently, 95 percent of the staff would just as soon go back to the old logo, which shows a propeller and a couple of thin waves. The new logo shows a thick blue wave, a building, a person waving, a sun and a plane flying stage right (see below). The commissioners did their best to interpret the icons. “You’ve got the little guy and the sun up there …,” Strakeljahn mused. “Were you here when they came up with this?” he asked Thomson. “Yes, but I didn’t feel comfortable saying anything,” he replied. The commissioners thought the buildings were meant to represent industry. And the sun? ” … because sometimes Washington is sunny?” Commissioner Roger Zabinski ventured. Although the old logo was pronounced a little “old school,” the commissioners agreed they liked it better. Discussion of melding the two logos was nixed, apparently due to artist’s rights on the new design. Stokes, who served on the board about 25 years ago, gave the history of the old logo, saying his successor Mary Ann Huntington had a contest at South Kitsap High School. The winning design was submitted by one of the students. Thomson suggested the new logo be allowed to die a natural death. No new materials will be ordered with the sun and the little man. Staff will be allowed to drop the logo from their emails. The new logo, featured on some port signs, will be replaced as the signs need replacement. “We’ll just slowly let it go away,” Thomson said. Which logo do you think best represents the port?